Work for Arlo Training & Event Software? Learning about Arlo Training & Event Software? "Quality software to mange your events backed by a great support team"
The key requirements for event management are brought together on one platform. The integration of a CRM, online application forms, integrated payment gateways and an API to allow full website integration, allowed our company to remove three systems from our business workflows and to save hours in manual processing of applications. Not much to dislike with Arlo, we have a number of administrators so would like to see some more granular security controls for system users, and we often have some bespoke requirements for our business needs. Also we have a number of system roles and it would be good to have these reflected in the pricing model. Having said that, Arlo have been very responsive to assisting with these issues either directly, or in upcoming releases. The main business problem Arlo solves is the end to end IT integration of the even management process. For us Arlo manages an initial application, though to acceptance, through to registrations, and payments, surveys and communications with the registrant. We also have fully integrated the system into our website via the API so have removed a previous manual job to manage the online presence of course information. "The best training and educational software I have ever used!" The thing I like the very most is how intuitive and easy to use Arlo is. It is exceptionally well designed and I can use it well - despite having no training on how to use it - good design can't be beaten - and Arlo has great design - meaning it can't be beaten! There's nothing I really dislike - Arlo is constantly updating and improving their product. I wanted them to add attendance by individual session to their app - and they have -so while I didn't like that this was not available it took only a couple of months for them to develop it after it was raised - when a company is this responsive there's nothing much to dislike! It's worth the price because it does what you hope it will. I have used other training and educational software such as Blackboard, a purpose built IMB Mainframe system (AS400), Wisenet and several other competitor systems and none of them come close to Arlo's functionality, intuitive ease of use and responsive development. It quite simply is the best. Too many to list - but here goes a few - paper lite office using Alro email certificates instead of expensive paper ones; attendance via app is helping both administratively and for off site class trips as it allows us to have accurate attendance data in case there is a health and safety emergency; Arlo app to deliver communications simultaneously to multiple parties; accurate up-to-date dashboard to watch business health - sales and revenue - and track trends quickly by looking at a single screen; low to no staff training time on Arlo - as highly intuitive product. "Why would you use anything else?" We used to use quite a complicated discount structure for multiple attendees, this has been hard to translate into arlo, but we have identified a work around - it just took a bit of time to implement. In saying that - Jarrod and the team were super helpful in helping us create this work around! "Helpful and quick to answer my many questions"
Arlo always respond. No question is to silly for them to answer - even when I could probably find the answer on their comprehensive help page. The people I've dealt with at Arlo have always been patient and put up with our web developers (who are based in Australia). The package we have doesn't have all the functionality I want. It would be great to have social media plugins as standard on the package we have (which I think is Professional). It would be great to have better functionality within the templates (ie more dynamic with pictures etc). It would be great to have more dynamic functionality with emails / communications sent out. I'd like to see more easier ways to customise emails without Arlo having to create bespoke templates. It's provided us with an easy to use booking platform for our professional education business. It's easy to use. We've had no major problems using it (and neither have our customers) since we integrated our website with Arlo. "Ease of Use and excellent Help desk support"
Arlo is a very easy package to use and staff need little training to get up and going with it. There are a couple of great webinars to further develop staff knowledge. One of the really good things about Arlo is the excellent support via either the Help Desk or through the on line help pages. All problems are handled quickly and professionally. One other thing that is excellent about Arlo is that the software is developed regularly and the company listens to what users want. So for example if a number of users want a particular feature, Arlo will develop that. So the package is always evolving and it isn't a static off the shelf product at all. "Quick to learn and easy to use"
I like having templates available for subsequent classes that we run and the autofill is speedy when entering names and details. I haven't yet learned how to create and save my own templates without altering the options available to other users. I feel it is possible but my busy schedule hasn't given me time to explore everything with Arlo. Having a place to record classes, students, schedules, outcomes that also serves our customers with a front of house place to browse and enter their own bookings. This would be a full time job without Arlo. With Arlo it is a 5 - 15 minute exercise for one of the tutors once a week. The navigational interface and ease of use. It integrates easily with other systems and all these automation features are excellent. Reports can be generated so efficiently, which was actually my primary interest in ARLO. This software also provides a separate tab for a user to include their own tasks in to the system for the user to monitor own progress and own work on priorities when required. To be honest, there is nothing much to dislike about ARLO. However, the events page sometimes take time to refresh and sometimes the page doesn't reload at all. I am sure developers of ARLO are constantly improving and updating the software, which will benefit the users all the time. I would highly recommend ARLO to any small or large business companies as an efficient event management tool. I am working with ARLO to monitor the scheduled events, generate day to day reports for our closure meetings, manage any updates of the events that needs to be visible by the delegates and the trainers, and analyse the number of events that we are carrying out around the world for future reports. The benefit of using this platform is you get all the information required for an event (from Setup to Final day of the event) here in ARLO software. Not to mention, the prompt customer services (phone and online) are so much quicker and excellent. In all, I can say this tool really helps me be more efficient. The excellent customer service that is provided. Fast, efficient, accurate and the customer service representatives I have communicated with actually want to help solve/fix/better the problem. Best customer service I have ever received using an event management programme. Well done. I also like the layout of Arlo and how easy it is to navigate. Registration process for our workshops and marketing for our events. "Great tool that helped us get organised!" - It would be great that if you go into a specific course and you see the list of participants to be able to access their profile and information rather than going through orders individually. It's great to have a software that organises the participants and courses for us. The automatic emails make a difference for us where we can save a lot of time. For myself, it's really a tool that helps me being more efficient and address problems and issue straight away. Hi Sara, many thanks for the review. Glad to hear Arlo is helping you manage your courses. Accessing participants records from the list of registrations on a course is possible by opening the registration and selecting the registrant's name. If you require any assistant with this please contact the Arlo support team, they would be happy to help. All the best, The Arlo team. • Not much customisation available for visual design unless you are willing to pay more to do some custom work. Contact Arlo and let them walk you through what they can offer. Previously we were with Eventbrite but while they were decent, their reporting system was nowhere near as strong as Arlo's. Eventbrite could not output the reports we needed and it was very limiting. We needed a lot of manual work afterwards to make it fit for purpose. Eventbrite's payout method was also very inconvenient for us as well as the cost they clip the ticket on paid events was pretty high..
• An easy to use system for our event administrators but with advanced functionality needed to cover all the different types of events we do and the information we need to capture. Hi Jamuel, thanks for taking the time to review Arlo, we appreciate your feedback. Our website integration technology is free, and we try to keep our in-house web teams cost as reasonable as possible. Glad to hear you found Arlo of better use to your business compared to Eventbrite. Many thanks, the Arlo team. one central place where I can view all activity for a contact / org. Application workflow - love, love love! - corporate membership setup limitations. - Campaign Monitor Integration. (one-way sync). We are spending a fortune with Campaign Monitor as a result. - historical information moves with the individual. does not stay with the organisation. - partial orders/ payment not possible. - unable to manipulate the log in date to enter in a registration. Application workflow is amazing! As any new features, minor development work required such as upload of files etc though I love this! Would love if there was a judging component attached to this. Managing of PD from a registration, marking attendance and grades perspective is quiet straightforward/easy to use. Ability to update CMS through the online portal. Great that anyone in the org can log in and make website changes. The leads function (somewhat limiting when you offer different services e.g. PD and events as the templates are universal) though the concept of going to a template and viewing all leads including the won/lost status since the beginning of time is great. Also great that all you have to do is click 'display the template' and all preexisting info is online + capturing leads. The events module is ok. We struggle with it for bulk bookings and our discount complexity though I can see orgs that have 1 service offering, small scale events, simple discounts can easily manage their events through Arlo. Also like that we are able to run free events quiet simply. Ability to sell tickets and capture attendance for the majority of our events and courses. capture applications for our award shows and graduate program. centralise our data including all the capturing of all activity with TCC from an individual and business level. Our clients find booking very easy, it is straight forward and directs you through the process well. As a user with the dashboard I find it very efficient and shows you all the need-to-know info clearly. I find it very quick to sent all the post course material to a client and then to 'pass' their booking so they receive communication from us at a later date. When I need to contact the team at Arlo they always jump to resolve any issue, awesome work! Sometimes I struggle with finding the help I need in the guides & help support, I find the terminology confusing occasionally. I wish there was more control over how the automated emails are sent, definitely our most common customer compliant at the moment is receiving these emails when they are no longer required. Also wish I could adjust the time that the trainer gets sent the attendee list for an event. "Fantastic event management system with excellent WordPress integration!" This is a very well-thought through application. We have plenty of functionality for getting our event-based business off the ground and running. The best part is that there aren't any missing core features. We were able to implement quickly and start booking/selling events within a few days. As a developer, the WordPress documentation was either too slim or outdated. I spent most of my time with the integration process in the database - and the tables weren't document, so that meant of a lot of trial and error. Make sure you have a developer on hand for WordPress integrations. While the plugin is robust and provides lots of opportunities for copying and pasting (for non-developers), you will likely need some customizations either from a stylistic or integration standpoint. In our case, we have Arlo Presenters who are also different kinds of users on our site (some are "Experts" while others are "Presenters"). So we needed the ability to route to profiles of our "Experts" differently than Arlo presenter profiles. These and other integrations were only possible with a software developer. As a startup, we needed to quickly be able to stand up and start selling complex event types. Arlo has allowed us to integrate the features into our WordPress site quickly. As we've validated different event types with customers, we've been able to take a more focused approach . Hi Justyn, thanks for your feedback. Good to hear you were able to get up and running right away and have enjoyed our WordPress plugin. We have taken your feedback on board regarding our WordPress documentation and our development team will review the documentation. We look forward to supporting your business's growth. Many thanks, the Arlo team. "Arlo is an easy to use solution for our training courses"
Arlo has been an important tool for our First Aid training courses. We have found it easy to configure the platform and to setup courses. Our customers have a simple and clean interface for booking and payment, and we can manage their certifications well. Having course reminders automated means we have less people forgetting about their courses. We have had some trouble with our website integration into Wordpress which we had hoped would be a little easier, and cheaper. This is likely due to the setup of our website, and we can complete this in the near future with our web developers at a cost. We had thought the Arlo WordPress Plugin would have been a quick and easy solution for us. We have managed to work around this in the interim. Managing the whole process of booking, course reminders, issuing of certificates and sending certificate expiration reminders all in one platform has been a huge time saver. Scheduled course reminders help with no shows, and self transfers also cuts down on customer phone calls. We can also create custom discount codes which is a great way to promote courses and track where customers are coming from. The support and response from the team is always top notch and the system just keeps getting better with new updates etc. I use the platform for 4 different organisations and it has made my life a lot easier. The simplicity of the platform; its ease of use, functionality and layout. I particularly appreciate the excellent online customer service when lodging an issue. I find Jarrod and Emma extremely receptive and respectful. That I cannot create my own field names with our particular account. I have to ask an Arlo team member if I want to add a new field. I CAN rename, but I CAN'T create. A platform that is easy to use, with a team behind it who cares about its users and getting it right. It gives our non-for-profit programme an air of professionalism and backs up our digital world ethos. "Excellent user support, straightforward, user friendly system"
How bookings are easy for customers to make. Reduces workload as most customers book without contacting us first. The quick and user friendly replies from the support team. Easy for presenters to see their customer base and record attendance. Notice any people that turn up without having paid. Unhelpful that clients cannot do a postcode search using Arlo (to enable customers to easily find courses local to them). Makes managing payments much easier - no missed payments from customers. Solving manually booking and taking payments from customers. Solving having to manually add new clients to our contacts folders. Capturing customers without having to liaise with them. Quick and easy. "User friendly and all-in-one package platform"
It manages our course bookings very efficiently. It saves my time in organizing our members data in preparation for our postgrad courses. The easy use and customer support. I can learn how to do new things just by playing around. very infrequently there are wait times from the support team. We used to do all our events manually - now it is all done for us. This is an immense time saver. I like the introduction training you receive in order to help setting up the system to suit your needs. The only parts i dislike is that everyone is classed as an administrator at present. Simple program, very intuitive design. Meets our requirements. More flexibility to fit our own specific requirements would be better. A great team to work with. Good product support too. It evolves overtime too, and provides new features that grow with our business requirements. Event management, integration with other systems. It is working very streamlined now. New customisation can sometimes take time. ARLO has totally transformed our event management. It is so easy to use, its reporting tools are excellent and the ARLO staff are wonderful to deal with. Finding out more about our customers, the trends in registrations and of course the huge savings in administration loads. Would most likely recommend, however don't know enough about comparable products. Arlo allows us to easily register students on courses. Allows for relatively easy invoicing of students and organisations. "This software is on target for accurate record keeping and saving time." Ease of use is what I like best about this software. After setting up only a couple of training sessions I can fly through the setup process and create venues easily. There was nothing to dislike. This software fit our needs and allowed us to customize many of the data collection points and acquire specifics that we were looking for. Great software and support! The software saves a lot of man hours, collects the exact information we need (user specified) and the excel reporting makes it easy to download what we want and quickly enter it into our system. Arlo customer service is the best, by far. Every time I've emailed their support team, I've gotten a quick and helpful response. 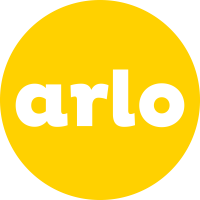 In addition to their great customer service, Arlo is the best LMS that I've used. It has everything you need and it is simple to understand, implement, and use on a daily basis. There are some limitations to Arlo, but I believe it's due to the contract that my company has with them. Arlo's ease of use makes my day-to-day tasks easy and straightforward. The ability to integrate with other software systems. I have yet to find a negative with ARLO. The quality of the product outstrips other competitors offering similar services. ARLO saves large amounts of time at a fair price. Synchronising payments with my accounting and automation of emails. "Great system for event management"
Simplicity of the product and the layout makes it easy to use to manage event delivery. Reporting does not currently allow you to include personalised email text when set up to send automatically. The reporting functionality allows you to create reports to suit different customer needs. I like that I can have all my events in one place as this makes it easier to manage it. Good system to manage events all in one place easy to use. "Arlo Training & Event Software"
The dashboard is an excellent tool that provides a clear snapshot of all the important information needed on a day-to-day basis. Love the responsive support team, the integration with Xero, the constant product innovation, reports. There isn't much not to like. Like every product, it would be great if it were cheaper! Quick and easy to use. Great reporting available. Customer service is terrific. Report templates work great. A few changes to make things more intuitive would be good - easier to find report options as an idea. Tracking of several hundred registrations for training sessions. Hard to build customised reports to extract the data I require in some cases. Works well when no existing CRM in place. It has all the functionality suited to running our 250 events a year. The integration with other platforms could be improved. The platform does everything we need. It helps with invoicing, reporting, organising and reminding us what needs to be done! "good system but something function I need are not in the system "
much easier for people to enroll online by themselves & refund online, save a lot of time. "arlo is efficient and easy to use"
"We use Arlo as our public training course booking platform." Easy to replicate courses - easy to pull reports - integrates with out website quickly. The only payment options are Paypal and ANZ. Some inflexibility with customisation of emails. There are probably a lot more features we could be taking advantage of but we haven't had the bandwidth to explore these. We use Arlo as our booking platform for our public courses. I like that it stores all trainee information. Nothing yet, I have only been a user for 3 weeks. "The absolute very best Training and Event Software"
Nothing. I have been using this software for quite sometime, and they just keep updating for the better. Give it a trial. Once you use it you will love it. Very easy to use, it makes our first Aid Training bookings easy for us and our clients. The dashboard is easy to navigate and easy to navigate. I find the online help function has difficult terminology however the live support is fantastic. Managing all of our First Aid training in one easy to use system. "Arlo has so many options"
I dislike the usability difficulties I experience as a result of having little computer software experience. Have been using Arlo for 5 years, probably the best enrolment programme I have ever used. Nothing to dislike, and if problems arise the Arlo team are quick in responding. "Fantastic product with great service"
I love that I can manage a fleet of educators using ARLO and not have worries. I have no issues with this product. It consistently performs. I have streamlined my education and reduced paper in my office with this product. "I'm still learning but I think it's a great help with a lot of unused potential"
* We monitor all Arlo Training & Event Software reviews to prevent fraudulent reviews and keep review quality high. We do not post reviews by company employees or direct competitors. Validated reviews require the user to submit a screenshot of the product containing their user ID, in order to verify a user is an actual user of the product. Hi there! Are you looking to implement a solution like Arlo Training & Event Software?